Self-compassion involves treating ourselves kindly, like we would a good friend we care about. Rather than continually judging and evaluating ourselves, self-compassion involves generating kindness toward ourselves as imperfect humans, and learning to be present with the inevitable struggles of life with greater ease. It motivates us to make needed changes in our lives not because we’re worthless or inadequate, but because we care about ourselves and want to lessen our suffering. This workshop will provide simple tools for responding in a kind, compassionate way whenever we are experiencing painful emotions. Through discussion, meditation, and experiential exercises, you will gain practical skills to help bring self-compassion into your daily life. You will learn how to stop being so hard on yourself; handle difficult emotions with greater ease; and motivate yourself with kindness rather than criticism. Practices will also be introduced to help ease stress for caregivers. Information on self-compassion - including videos, guided meditations, exercises, research articles, and a way to test your own self-compassion level – is available at Kristin Neff's website: www.self-compassion.org. No prior mindfulness experience required. The price includes tea & coffee with pastries/biscuits during the breaks. Lunch is not included. The room is on the first floor (stair access only - no lift). Please let us know in advance if you have mobility issues or difficulty with stairs. Event registrants will automatically be added to Kristin Neff's mailing list to be kept up-to-date on her future events -- you can unsubscribe at any time. If you are looking for an 8-week Mindful Self-Compassion Course, we have one starting on the 28th of September 2018. Click here for more details: https://www.londonmindful.com/8-week-mindful-self-compassion-course-fridays.html. 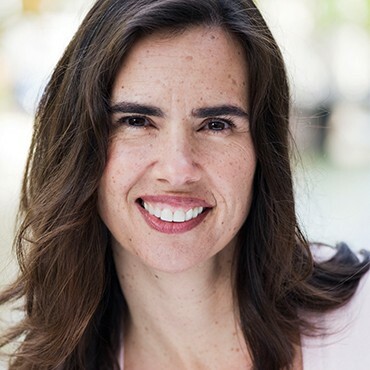 Kristin Neff, PhD, received her doctorate in Human Development from the University of California at Berkeley in 1997. She is currently an Associate Professor of Human Development and Culture at the University of Texas at Austin. She is a pioneer in the field of self-compassion research, conducting the first empirical studies on self-compassion over a decade ago. In addition to writing numerous academic articles on the topic, she is author of the book "Self-Compassion” (2011). Kristin’s work has received extensive media coverage, including the New York Times, MSNBC, National Public Radio, Reader’s Digest, and Psychology Today. She offers workshops on self-compassion worldwide, and has developed an eight-week program to help people learn to be more self-compassionate in daily life.